2013 was unquestionably a bad year for the Conservative Party of Canada – although perhaps not the disaster some in the media are portraying it as being. 2013, however, really exploded the myths of the Stephen Harper’s infallibility and iron-grip control. The Senate Scandal in the PMO’s office has really hurt – as have the changing story-lines which the Prime Minister himself has altered throughout the year regarding Nigel Wright. For me, there were more important matters at play here (particularly the fact that sitting members of our legislature were able to force three other members out of their jobs – which I find particularly chilling), but for the general public, what seems to be sticking is that the Prime Minister has been lying about what he knew, based on his reactions to events, and that constantly influx story line. Contrary to my predictions for the Conservative Party in 2013 (I stated that it would be “business as usual” for the Conservatives – it’s been anything but! ), what we’ve seen is a public conversation emerging about whether Harper can stay on to lead his Party in 2015 – along with a discussion about whom the frontrunners for a snap leadership race might be. These discussions really weren’t on anybody’s radar at the end of 2012 – and in some ways, I believe they are being oversold today. Look, Conservative support remains fairly strong, although it has suffered a dip in public opinion polls – those same polls which are becoming less and less trustworthy each day. What the Conservatives can count on more than any other Party is that it can mobilize its vote on election day – and be competitive in all of the ridings that it needs to be competitive in (and can still spend a tonne of money in the ridings that it has only a moderate chance of success in – like Sudbury). Strong campaigns by the NDP and Liberals (and Greens in certain ridings – and the Bloc in others) could split the vote in such a way that Conservatives are still able to come up the middle in marginal ridings, particularly in B.C., Quebec and suburban Ontario. But what about those by-elections in Manitoba, where the Conservatives lost a lot of ground to the Liberals? Aren’t they a sign of what awaits the Conservatives in 2015? No, I don’t believe that they are, given the dynamics of a general election versus a by-election. That being said, I don’t think that there’s any question that a resurgent Liberal Party poses a threat to the Conservatives in many western ridings – and we can expect a number of Conservative incumbents to go down in defeat to Liberal candidates in 2015. But as far as 2014 goes, I don’t think that there’s enough there to rock the boat considerably. Conservatives will continue to look for Justin Trudeau to fall on his face (although I must admit that I was surprised that the Conservative attack machine generally offered Trudeau a “pass” throughout 2013 – particularly at times when the Conservatives were being hammered over the Senate Scandal, and a good “look over there” might have come in handy to change the channel for a day or so. What this tells me is that maybe the Conservatives don’t have the goods on Trudeau to the degree that many of us have been thinking they do). That’s not a winning strategy, I don’t think, but it’s likely enough to keep backbenchers quiet for another year. While some pundits are predicting a caucus revolt for the Conservatives in 2014, I just can’t see it happening. Such a revolt might mean victory for a few die-hard social conservatives in Alberta, but it would assuredly mean the destruction of the Conservative Party – and that’s not a place which most conservatives want to go. I believe that Harper will keep a firm hand on the tiller throughout 2014 – and that the Conservatives will continue to obstruct Elections Canada from doing its job(s) on spending and voter suppression investigations. Delays will also help the Conservatives with regards to Nigel Wright and the Senate Scandal. Look for modest polling gains to be made with tough-on-crime anti-prostitution bills, coupled with a relatively healthy economic performance. The Conservatives will also toot their own horn on the environment as President Obama finally gets around to making a decision about Keystone XL. Obama will approve the pipeline, with credit taken by the Conservatives. Keystone XL will be a media-hyped victory for the Conservatives, after losing one to Europe – as the EU will vote to add Canada’s tar sands to it’s “high carbon pollution” fuel quality standard (something we won’t hear a lot about in Canada). Other scandals may re-emerge (particularly Robocalls), but generally speaking, the Conservatives will be able to dust themselves off at the end of 2014 and position themselves strongly for another run for a majority government in 2015 under the leadership of Stephen Harper. 2013 was a tough year for the NDP – and not at all in keeping with my prediction that the NDP would emerge, at the end of 2013, in a position of strength relative to the Liberals. I sincerely thought that Thomas Mulcair was the “real deal” for the NDP (and in fact, I continue to think that he is – but it seems that most Canadians don’t agree with me on that). A the end of 2012, I predicted that the NDP’s fortunes were tied irrevocably to those of Justin Trudeau – on that I was correct – but I also predicted that Canada’s flirtation with the apparently vacuous Trudeau would be short lived – and it clearly has not been. And so the NDP have ended 2013 as the third place party in opinion polls, having failed at gaining either of two coveted ridings in recent by-elections, despite aggressive campaigns. In Bourassa, the NDP actually lost ground to the Liberals (from 2011 results), while Toronto-Centre proved to be extremely problematic for the NDP, with Linda McQuaig, the NDP’s star candidate, going down in defeat to Chrystia Freeland, who ran a positive campaign. McQuaig’s continued personal attacks on Freeland no doubt disgusted traditional NDP supporters (as did McQuaig’s continued denial that she was engaging in the politics of character assassination – even though she was clearly doing just that), and this type of negative campaigning isn’t going to sit well with Canadians who are clearly growing tired of partisan antics. Despite having an extremely effective year in the House, Thomas Mulcair has led the NDP to the brink of disaster at the end of 2013 – although it may not seem like it to most NDP supporters, at least not yet. Mulcair’s year-end interviews, however, tell me a different story on several fronts. First, back to that negative campaigning. It’s no secret that the NDP’s forensic analysis of their electoral disaster in B.C. in 2013 pointed to a lack of aggressive, negative campaigning on the part of former provincial leader Adrian Dix. Mulcair has now clearly stated that his Party will engage in negative campaigning in 2015 as a result – and it won’t all be directed at the Conservatives. In contrast, Liberal Leader Justin Trudeau has vowed to remain positive (which may prove difficult for the Liberal Party – but based on recent by-elections, Trudeau appears to be generally remaining true to his word – in all four contests, the Liberals ran what can only be described as “positive” campaigns). Mulcair believes that the negative stories of his opponents need to be told if the NDP is going to experience success. He may be right – but Mulcair also needs to keep in mind that he risks alienating his base if throws too much sand out of the sandbox. Now, dyed-in –wool NDP supporters might argue that the NDP base, like the Conservative Party’s, really has nowhere else to go in terms of shifting votes to. First, I’d argue that’s probably not the case, as the Liberals and (especially) the Greens would be attractive parties for alienated New Democrats to park their votes with in 2015 – as a protest of Mulcair’s right-ward shift and partisan antics. Even more likely, however, is that NDP supporters simply stay at home and voice their disgust with their party in the same way that 90-year old Joy Taylor did, when she witnessed the questionable antics of her Party during the candidate selection process for a recent Ontario by-election in Scarborough-Guildwood. The heavy hands of Thomas Mulcair are turning long-time supporters away from his Party. Although the NDP claims to be in favour of improving democracy, their vote-whipping and stated aim of not co-operating with any other political parties to oust Harper are starting to take a real toll with an increasingly cynical membership, which had long understood their party to be above these sorts of cynical partisan games. The extent of the NDP’s ultra-partisanship was on display recently when Independent MP Bruce Hyer opted to join the Green Party. The NDP was forced to relive Hyer’s story again, which put the NDP in a bad light nationally. Moronic, anti-democratic calls for a by-election in Hyer’s Thunder Bay-Superior North riding exposed not only the NDP’s hypocrisy (no such calls were made when Hyer left the NDP to sit as an independent) but their lack of understanding of even the most basic principles of Canada’s system of governance. All of this brings us to what will be the NDP’s Achilles heels in 2014: their unabashed support for the Clarity Act-contravening and Supreme Court of Canada “Sherbrooke Declaration” and it’s 50% + 1 formula for breaking up the country; and their recent policy reversal on Kinder Morgan’s Trans Mountain pipeline. We’re going to be hearing a lot more about these NDP initiatives in the 2014 – and they will both prove to be losers for the NDP. First, the Sherbrooke Declaration. On the surface, a 50% plus one simple majority might appear to be a democratic outcome in a referendum. However, the fact is that it’s just not that simple. First of all, a simple majority for a sovereignty referendum is clearly in violation of Canada’s laws and the Supreme Court of Canada’s recommendations that include a reference to a “clear majority” – obviously something different from a “simple” majority. Beyond the legalities, however, outside of wooing the separatist vote in Quebec, Sherbrooke will prove a real loser for the NDP, as the rest of Canada will start to take affront to the NDP’s soft position on sovereignty the more it becomes aware of its existence. Given that the Liberal Party was the one which adopted the Clarity Act in the first place, you can bet that they’ll be talking up the NDP’s soft-handed stance on breaking up the country. Increasingly, Canadians will come to view the NDP as not ready to govern. Regarding the Trans Mountain pipeline: right before the Christmas holidays, Tom Mulcair sat down with reporters and advised that the NDP was changing its position of opposition to the Kinder Morgan pipeline to one of non-opposition. Interestingly, the NDP’s B.C. election failure forensic analysis seemed to point to the NDP’s mid-election opposition to Trans Mountain as being one of several reasons why the NDP grabbed defeat from the hands of victory in 2013. A more comprehensive analysis suggests otherwise – that the NDP’s mid-election policy change was actually popular – certainly opinion polls showed a modest bump of support for the NDP for days after the announcement was made. I’d go so far as to argue that the NDP’s opposition to Trans Mountain probably led to the defeat of a couple of Greens in B.C., after the NDP stole a little Green thunder. But apparently, that’s not Tom Mulcair’s read. Mulcair was making some pretty good noises in late 2013 about supporting the emerging green energy economy (although in the same speech, given to the Economic Club of Canada, he may have also watered down the NDP’s long-standing emissions reductions target goals). Mulcair signaled his Party’s continued support of a Cap and Trade carbon emissions trading scheme, and made other observations that he was going to start getting tough on climate change. The NDP has long been opposed to both the Northern Gateway and Keystone XL pipeline, and have been lukewarm to the Line 9 reversal. In his speech to the Economic Club of Canada, Mulcair made it clear that he would only support a “West-East” pipeline if value-added refining jobs were a part of the equation. In short, Mulcair appeared to oppose the increase in transport capacity for raw bitumen. Which is what makes the NDP’s reversal in position on Trans Mountain a real head-scratcher. Trans Mountain is one and a half times as big as Northern Gateway – it will allow raw bitumen to flow to the Port of Vancouver for increased international export. Rather than 4 tankers a month in the Port, the Trans Mountain expansion is anticipated to lead to as many as 34 per month. Locally, Vancouver’s municipal council has signalled its opposition to Trans Mountain – and opinion polls show Vancoverites as being more inclined to oppose it than support it. Given the tightness of public opinion polling in B.C., where the Liberals, Conservatives and NDP are within mere points of one another, and the Green Party has its strongest opinion poll showing of any jurisdiction in the world (with above 18%), Mulcair’s pre-Christmas policy reversal doesn’t appear to make much sense, as both his Conservative and Liberal opponents support Kinder Morgan. It may be that Mulcair is trying to show Canadians that he doesn’t oppose all pipelines in an attempt to combat Liberal and Conservative criticism that the NDP is anti-economic development. That might play well in other parts of Canada, including suburban Toronto, which is where the NDP must make gains in 2015. But it hands the anti-Trans Mountain support over to the Green Party, which is now the last federal party standing which opposes the pipeline for numerous reasons, including tankers, dilbit spills and climate change impacts. And the Green Party is going to make hay with this – especially in ridings in Vancouver and on the Island which may be directly impacted by increased tanker traffic and attendant spills – and which are exactly the ridings which the Greens have been building a regional power base in. Not only does it hand the Greens a local issue on which to oppose the NDP in B.C., but Mulcair’s reversal of the NDP’s position completely calls into question his Party’s stance on climate change. Now, I suspect that Mulcair is gambling that those nuances might be lost on voters who are concerned about this issue (particularly if Mulcair continues to tout Cap & Trade as a means of reducing carbon pollution), but those nuances aren’t going to be lost on environmental public opinion shapers. Within days of Mulcair’s reversal, there have been several critical documents published which do just that – claiming that the reversal clearly shows that the NDP doesn’t understand the depth of the climate crisis. These public opinion shapers will eventually have an impact on voters throughout the nation. Further, the reversal on Trans Mountain is internally inconsistent with the NDP’s so-called New Energy Vision – in which Mulcair laid out that the price of any pipeline exporting Canada’s oil resources would be jobs. Trans Mountain will export raw bitumen – and create no value-added jobs. This is exactly the sort of proposal which the NDP ought to be opposing if value-added is a real concern for that Party. That was one of the reasons that Dix and the NDP offered when opposition was announced in the first place. I believe that the backlash to the NDP’s support of Trans Mountain will lead the NDP to reconsider this stance prior to the end of 2014. A lot of this backlash is going to come from the NDP’s own members and supporters in B.C., along with public opinion shapers who have long opposed Trans Mountain. The only question that I have is how much damage will the NDP do to itself before this position is again reversed? On the Shrebrooke Declaration, the NDP has too much time and energy invested in propping up this policy loser – there will be no alteration of course on it. Both Shrebrooke and Trans Mountain are going to be big-time problems for the NDP in 2014. What’s bad, of course, for the NDP is good for the Liberals. With the NDP’s dismal performance in 2013, the Liberals are at the tops of public opinion polls. Those of us who believed that Justin Trudeau would fall flat on his face in 2013 were proven wrong. If anything, Trudeau has had one of the strongest performances of any Leader in 2013, and hasn’t let a few bozo eruptions alter his course. Strong showings in 5 by-elections (with 3 wins – including the defeat of an incumbent in Labrador) have left the Liberals sitting pretty at the end of 2013. Liberal Strength – or NDP Weakness? 2014, I believe, will prove to be an even stronger year for the Liberals, even as the Conservatives start to bounce back from 2013 lows. The good news for the Liberals is going to be Tom Mulcair and the NDP’s continued descent towards the high teens of public opinion. Polling inroads will be made by the Liberals in the Atlantic provinces, B.C., Manitoba and (modestly) in Quebec. The Liberals will continue to face off against the Conservatives in Ontario – but with the exception of a handful of downtown Toronto ridings, urban and suburban Ontario is going to continue to make a pronounced shift in preference towards the Liberals. And these are exactly the ridings the Liberals need to win if they are going to reclaim the title of Official Opposition in 2015. Again, for me, this isn’t so much of a question of how well the Liberals might be doing in 2014, but rather a question of how poorly the NDP might fare. I’ve obviously been surprised that the NDP has seemingly decided to sink its own ship – even as it tries to tack towards a populist course. It seems that Mulcair is helming the gang that can’t shoot straight – and the Liberals have, until this time, been the primary beneficiaries of NDP folly. With an increasing number of high-profile candidates ready to go to bat for Liberals across Canada, the fortunes of the Liberal Party will consolidate throughout the year – although potential breakthroughs in Alberta and parts of Quebec will continue to appear elusive at the end of the year. 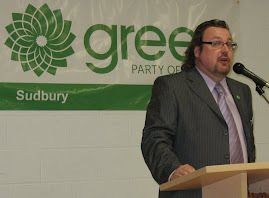 Unquestionably, the Green Party had a good year in 2013 – but primarily for one reason only: that it doubled its caucus with the addition of former-NDP and Independent MP Bruce Hyer. Other than this one event (which I broadly predicted in 2012 by stating that there would be a new Green MP in place by the end of 2013), the fortunes of the Green Party appear to be somewhat mixed. The reality, however, is that the Green Party has really started to position itself for success in 2013 – and although I am a Green partisan – I also feel that I’m a realist when I write the Greens should not be under-estimated in 2014. As I indicated above, the Green Party has been hard at work at building a regional power base in B.C., and our polling in that Province has never been higher (even with an interim Party Leader which the majority of British Columbians couldn’t pick out of a police line-up). With the election of Green MLA Andrew Weaver to B.C.’s provincial legislature in 2013, Greens continue to show that we can be competitive in a First Past the Post electoral environment. Look for the Greens to continue to build in B.C., especially when a (relatively) high-profile leadership contest gets underway (no date has been set yet, but one can imagine that the Greens will want to capitalize on momentum by holding a vote for Leader in the spring of 2015 – just months in advance of the fall federal election). Look for a well-known west coast environmentalist to throw their hat in the ring a la Elizabeth May to become Party Leader. The momentum for the Green Party coming out of B.C. might start to rub-off on other constituencies as well. If a provincial election is held in Ontario (and I have predicted one won’t be) and Green Party of Ontario Leader Mike Schreiner is elected in Guelph (which I predicted he would be were an election held), it is conceivable that other Southwestern Ontario ridings could be in play for Greens come 2015. Historically, Greens have had decent showings in Buce-Grey-Owen Sound and Dufferin County. Bruce Hyer’s profile is going to loom larger in the public realm throughout 2014. Hyer and the Greens know that holding on to the Thunder Bay-Superior North riding is going to be tricky come 2015, but Hyer’s reputation as a strong constituency representative will only be enhanced by his higher profile in the Green Party. Already, Hyer is off on an international trade mission to Taiwan as the Green Party’s representative. Will May and Hyer be joined by any other Greens in the House in 2014? It’s within the realm of possibility that a by-election might come along in 2014 in a location where a strong Green campaign can develop. As for additions to the Party from current Members – I’m doubtful. I think that the Greens are going to have to wait to 2015 to see an increase to caucus. But the signs are pointing in the right direction, in my opinion, particularly if the NDP sticks to its guns on its Trans Mountain reversal – a policy decision which will really upset a lot of NDP supporters in Vancouver and on the Island. Green Party - Table for Two?